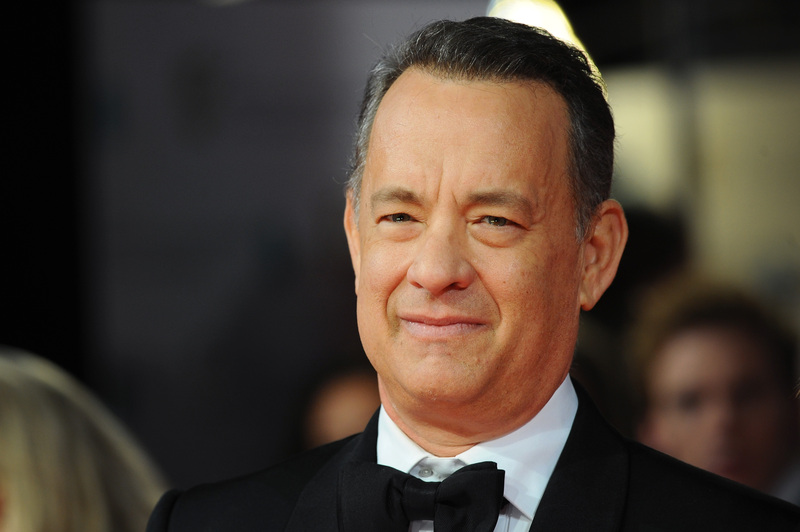 Oscar-winning actor and America's dad Tom Hanks turns 58-years-old on July 9, and honestly, we should all throw one big party in his honor. After all, the general presence of just having Tom Hanks in all of our lives is reason enough to celebrate, but the birthday of a national treasure simply solidifies it. Hanks has spent the days leading up to his birthday watching the World Cup with his family and out-dancing everyone at Scooter Braun's wedding (we sincerely appreciate you bringing this gem into our lives, Justin Bieber), so we really have to up the ante to do right by the Captain Phillips star. Instead, for your Tom Hanks birthday bash, we suggest Big (silly string must be provided for all guests), A League of Their Own (there's no crying in baseball or at birthday parties), You've Got Mail (F-O-X), and That Thing You Do! (way better than singing "Happy Birthday" as far as we're concerned). All right, but what about recreation for your Tom Hanks party? Well, there can be a Castaway-inspired beach volleyball game (sorry, Wilson), taking a dip in the Splash pool (mermaids only), and/or Catch Me If You Can: A Running of the Hankses. Who's the fastest Hanks-inspired character in your friend group? Only one way to find out! The loser goes home with a copy of Larry Crowne. What's on the menu at the Tom Hanks party? Glad you asked! Among the options, there's Lieutenant Dan Ice Creaaaam's Ice Cream (that's when you literally just wave a vanilla ice cream in your pal's face and it is delicious), Sleepless in Seattle's Best Coffee, Turner & Hooch wine, and the Green (Bean Casserole) Mile. Okay, now you're ready to throw a Tom Hanks–themed party! Happy 58th Birthday, Tom Hanks!